The Japanese love to wrap things; presents, beautifully presented boxes of cakes, even coke bottles or hot buns from the convenience store. The last time I purchased a loose apple, I concluded it might be quicker to grow the fruit myself than to wade through the layers of packaging the cashier had decided to bury my snack within. This obsession is particularly unfortunate in light of the fact that one of the most complicated activities in Japan is taking out the garbage. Upon taking up residence in my new apartment, I purchased a bin with four separate compartments. That's three compartments less than the number of designated rubbish types, each of which have their own collection day. Mondays are for burnable waste. Exactly what is burnable involves some guess work due to a misspent childhood not engaged in pyromania. It definitely includes food but not paper, since the collection day for that is Wednesdays. However, the Wednesday pick-up doesn't include newspapers, magazines, milk cartons or cardboard which must be collapsed and folded up separately before being taken down to a local store. It also doesn't happen on the third Wednesday of the month which is reserved for garden waste or the first Wednesday which is for all items that do not fit into the other six categories. Tuesdays are for plastic wrappings and containers, except for recyclable bottles which are to be taken out on Fridays. Thursday is a second burnable trash day since food is liable to smell and you can't take it from your apartment between collections, least it be thought you considered your half-eaten strawberry sandwich a plastic bottle and be carted away to a mental asylum. Burnable items must be put in yellow bags, while everything else must be in white. It must also be taken out on the day of collection before 8:30 am. Under no circumstances must garbage bags be taken outside the night before their designated days. 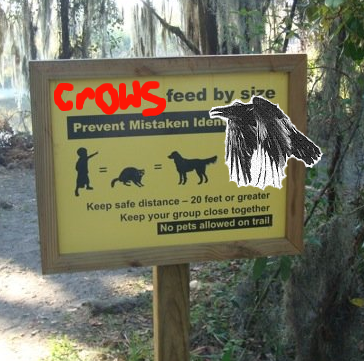 This is because of the crows. 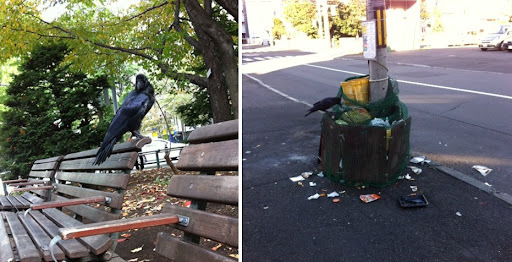 Crows are Sapporo's version of the raccoon. Disconcertingly similar in size, these giant evil looking fowl gather throughout the city staring hungrily at humans, pets and red, meat-coloured cars. Given the opportunity, your empty crisp packet will be in pieces throughout the city's four corners. It is impossible to know if the smell of food drives the act, or if it is a demonstration of what these black winged inhabitants would like to do to your eyeballs. While being stalked around campus, I was reminded irrevocably of the signs that used to stand by Florida's waterways regarding alligators. 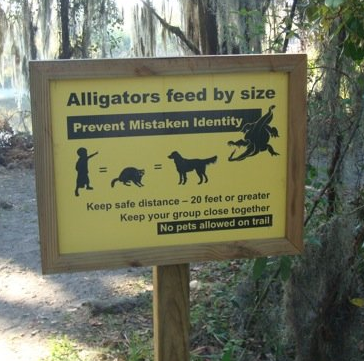 These warning boards alerted the uninitiated to the local reptile's unfussy eating habits, be it child, beloved poodle or indeed, raccoon. The area for rubbish bags outside my apartment complex actually has a crow-proof net around it. Nevertheless, it is still against the rules to take your trash out the night before. Not all new hobbies are fun.